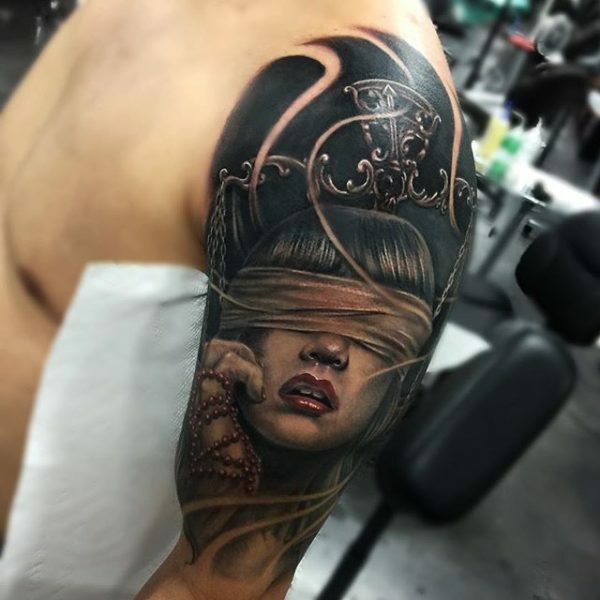 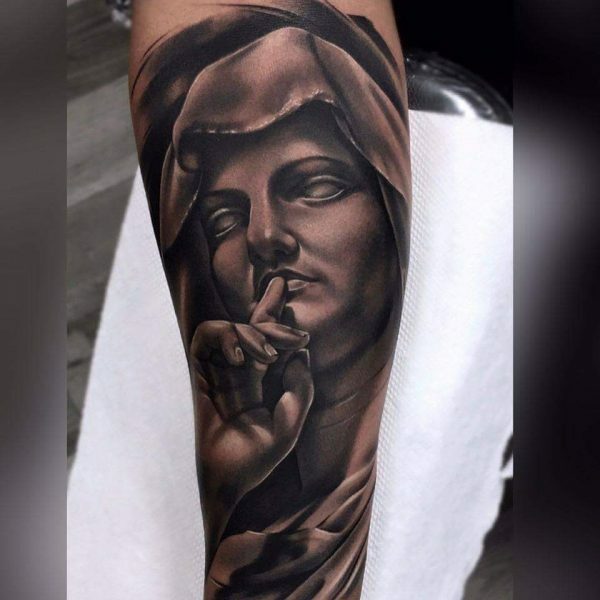 Realism tattoos are some of the most compelling types of body art for tattoo enthusiasts. 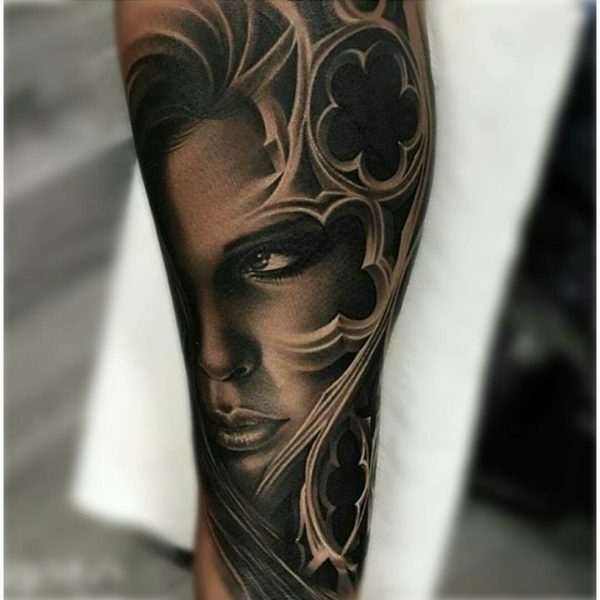 These lifelike tattoo designs bring substance and aesthetic appeal to your body. 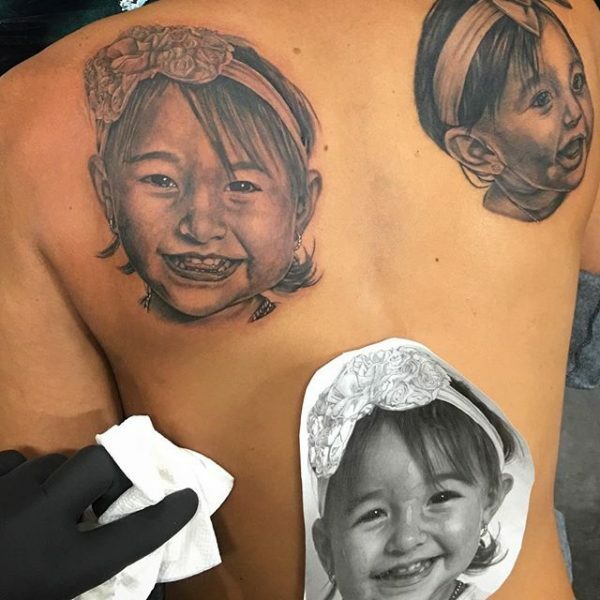 Because these tattoos are realistic, choosing such designs can help tell a story or send an important message to onlookers. 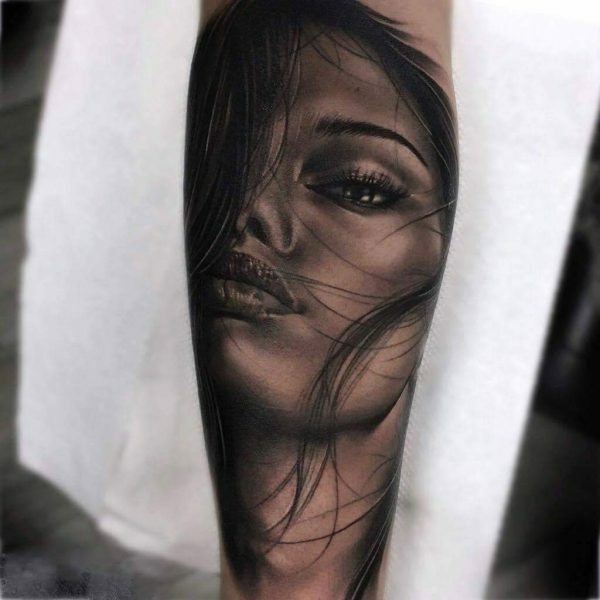 The sublime nature of realism tattoos means that they can match a variety of moods, personalities, and dress styles. 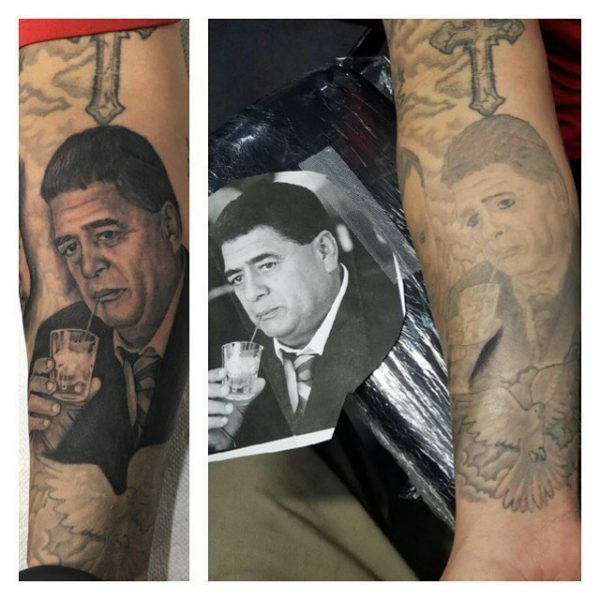 With this versatility, you can reap the benefits of having a realistic tattoo for years to come. 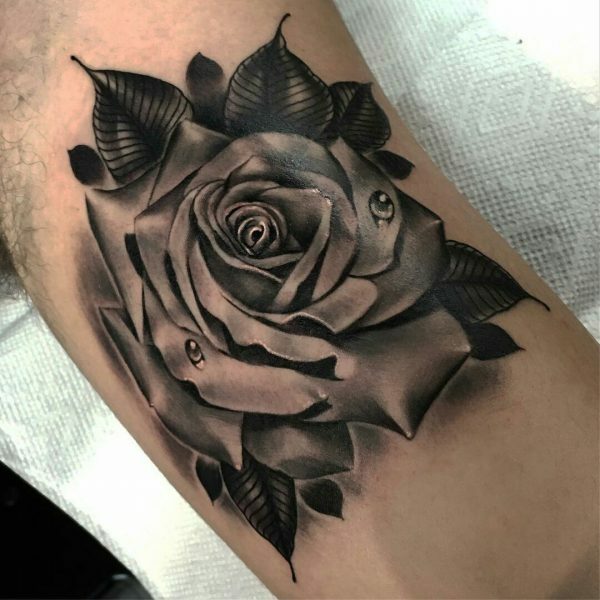 Realism tattoos represent a step above ordinary or traditional tattoos. 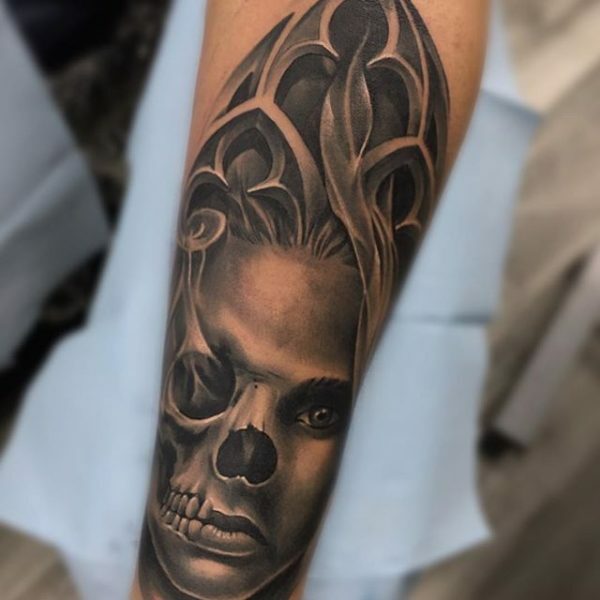 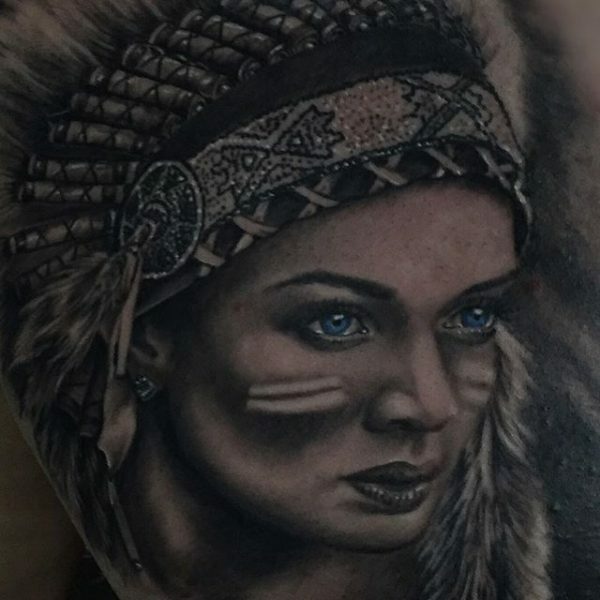 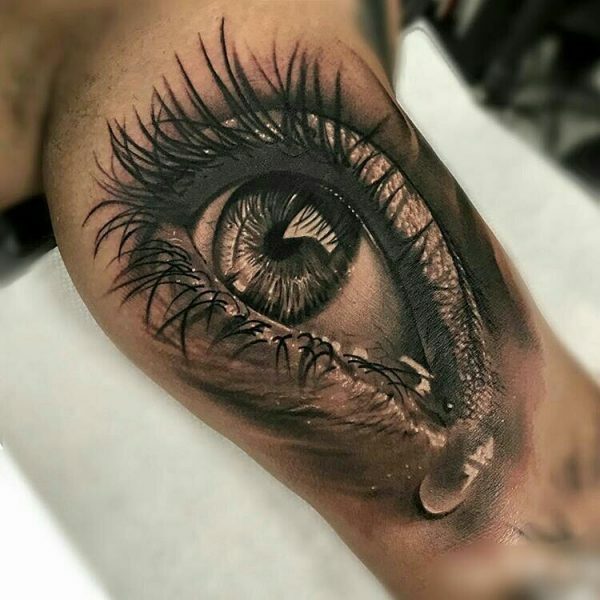 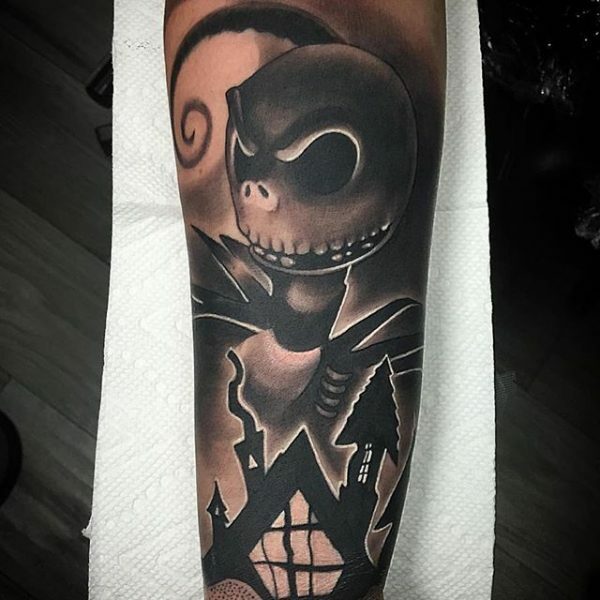 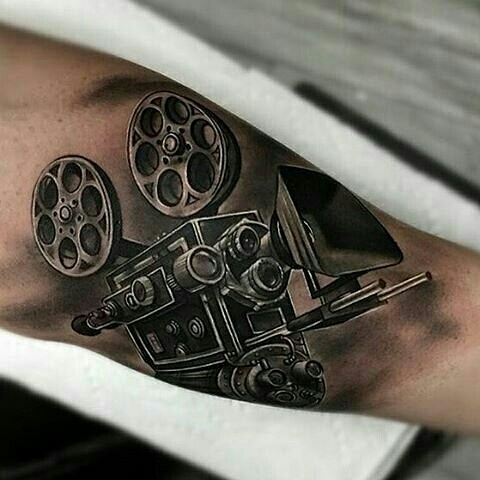 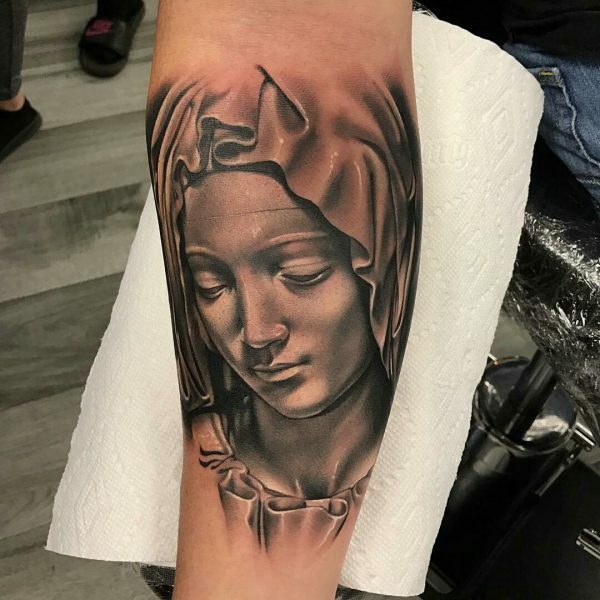 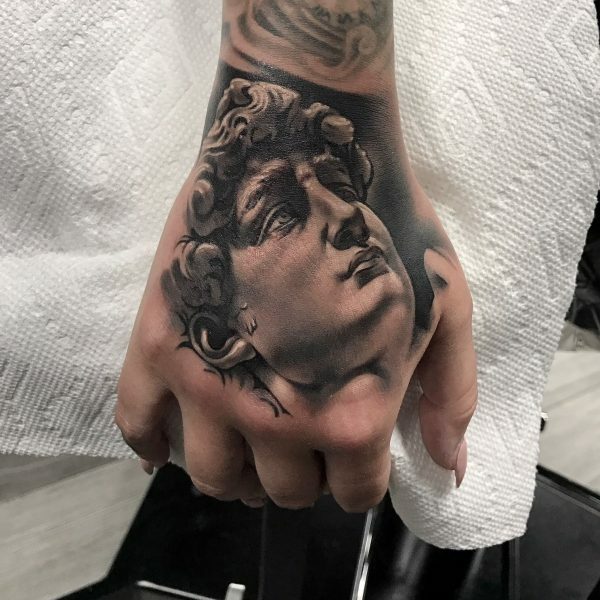 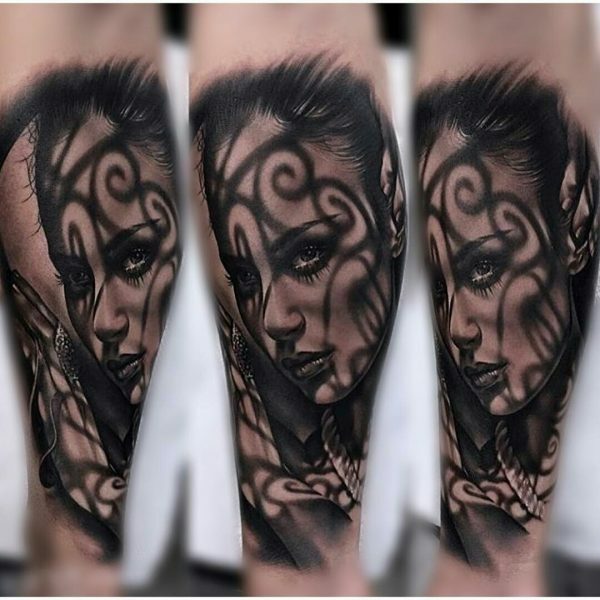 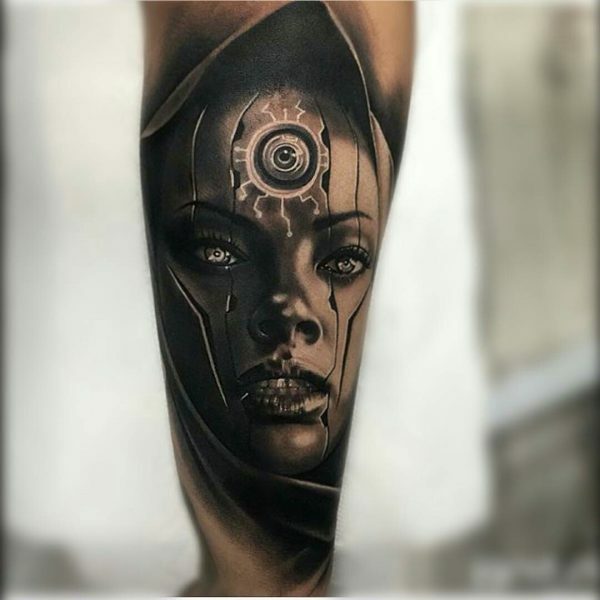 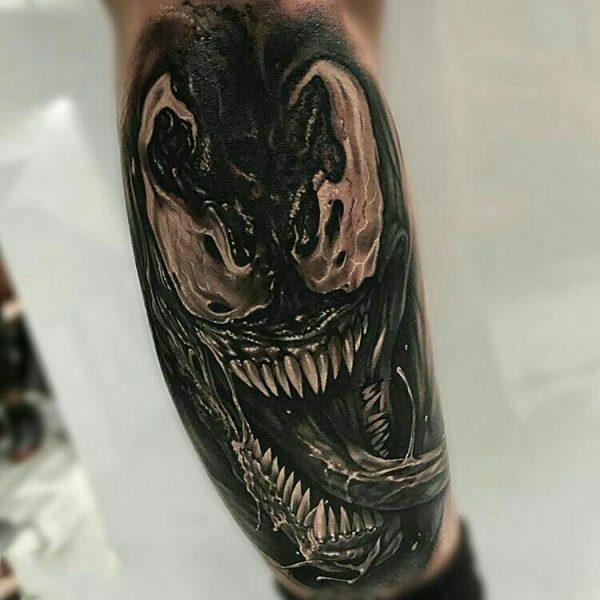 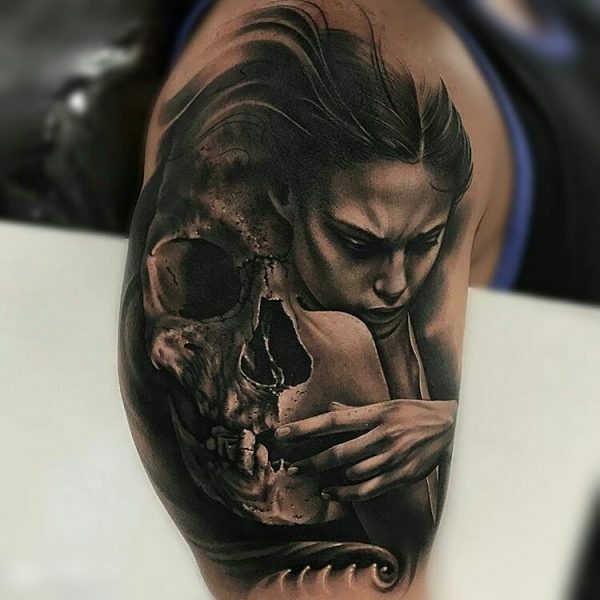 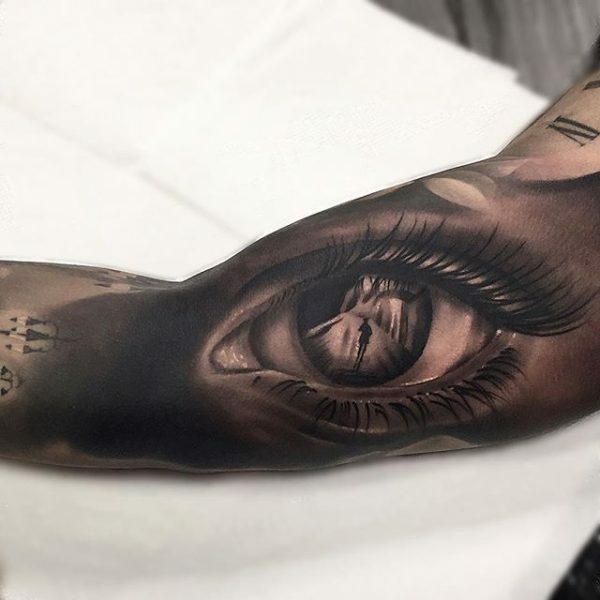 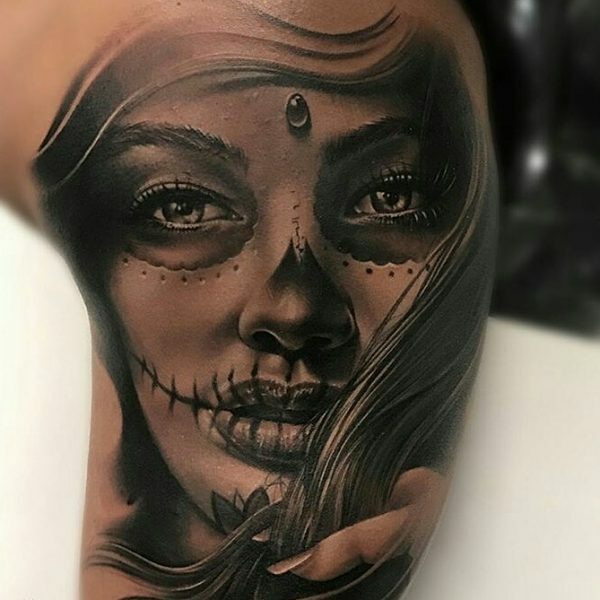 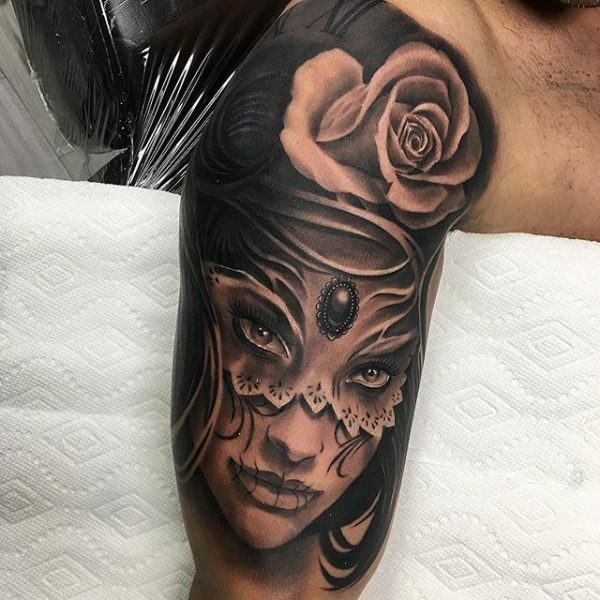 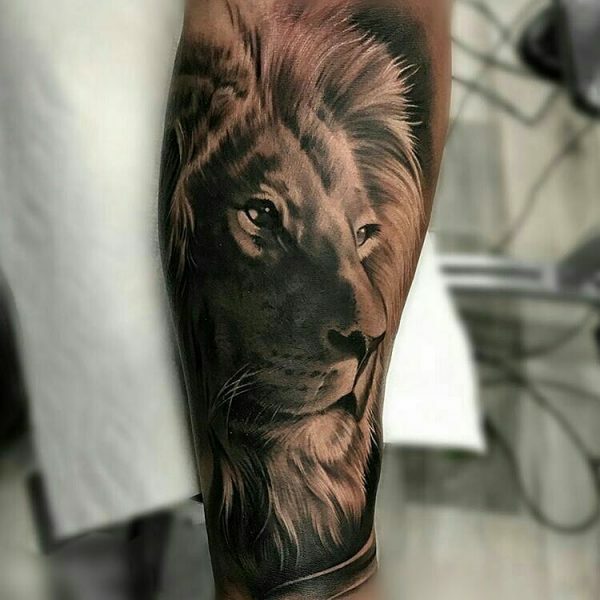 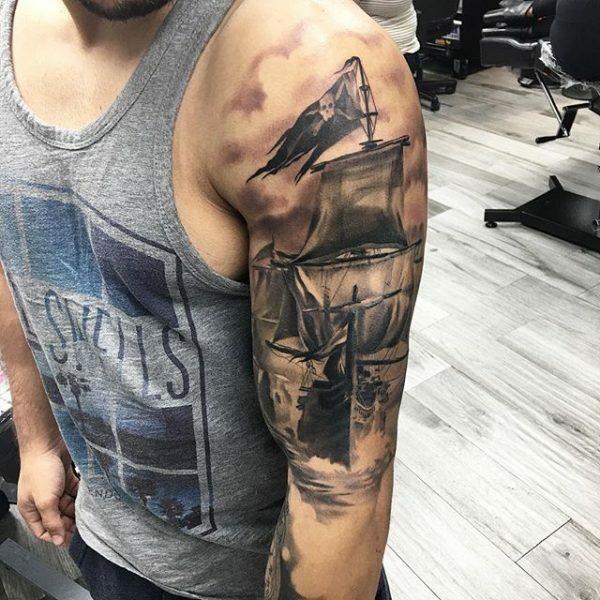 A realism tattoo features a three-dimensional design that gives the image far greater depth than flat or two-dimensional designs. 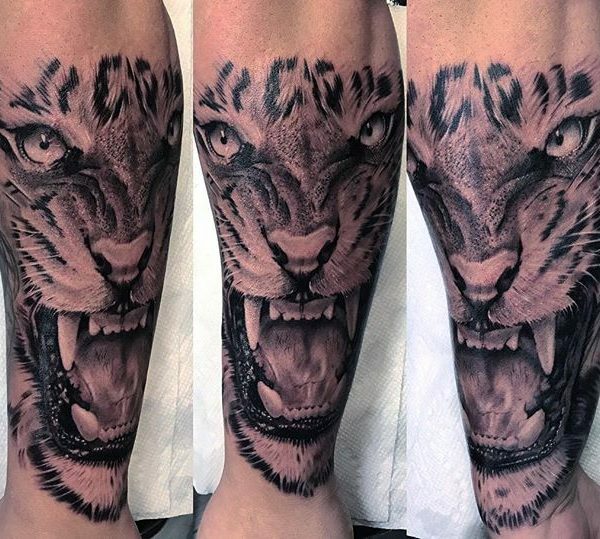 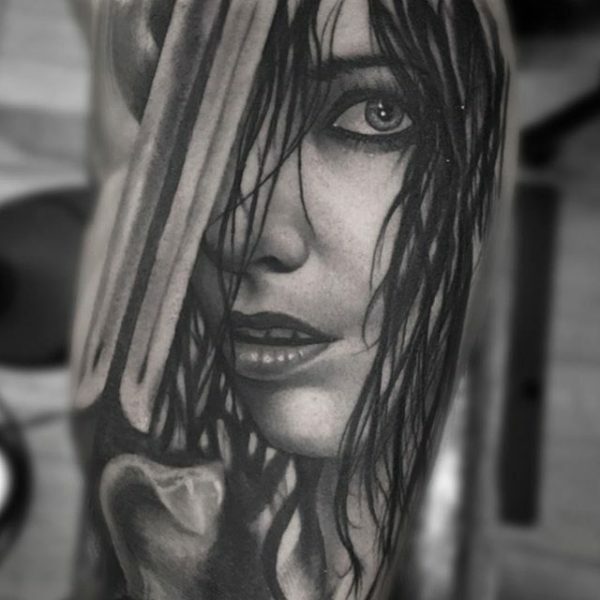 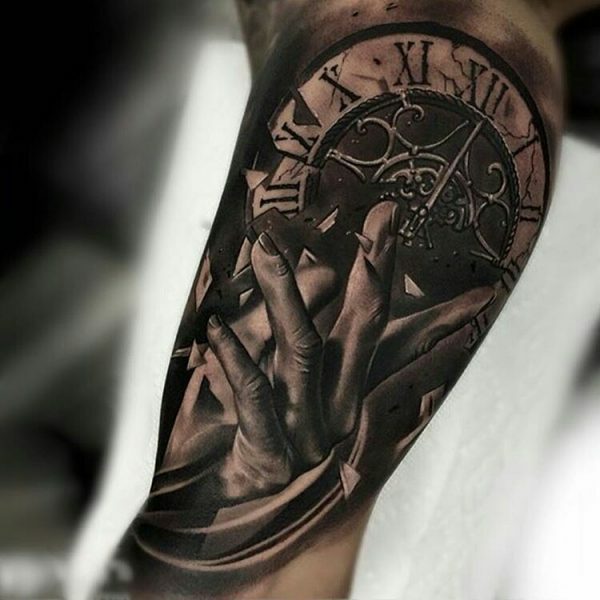 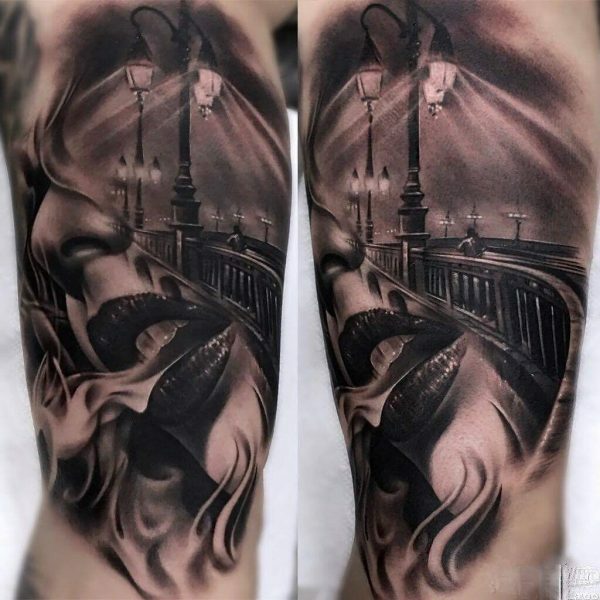 Realism tattoos also emphasize a greater level of artistry in their tattoo designs. 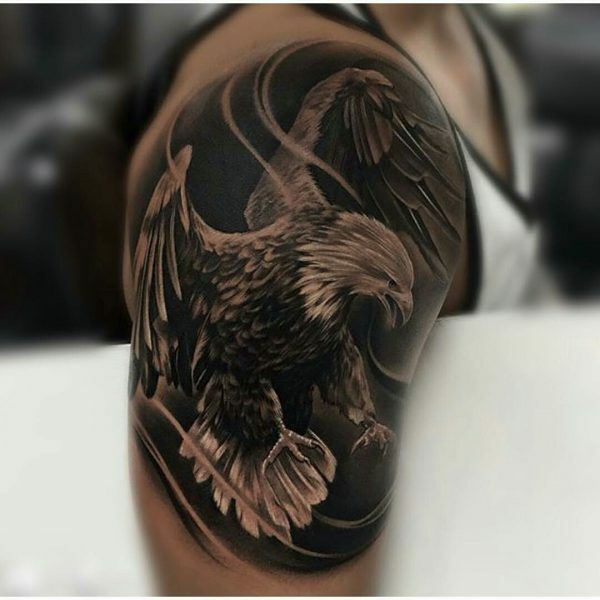 In this way, you can get a custom tattoo that looks like a masterpiece and outshines the mediocre alternatives. 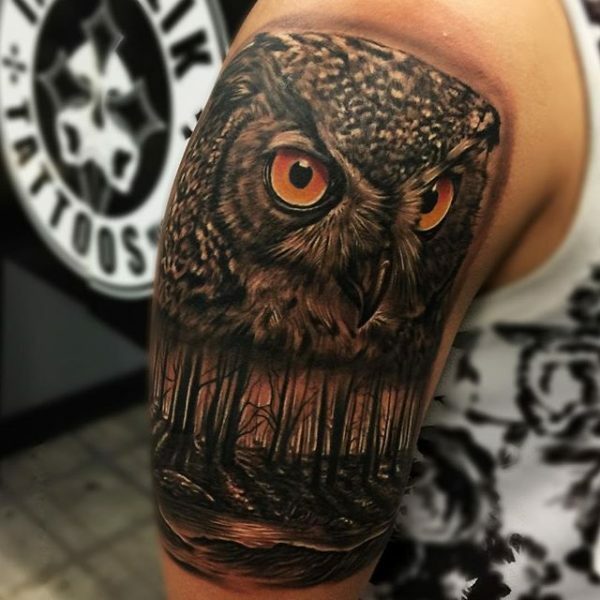 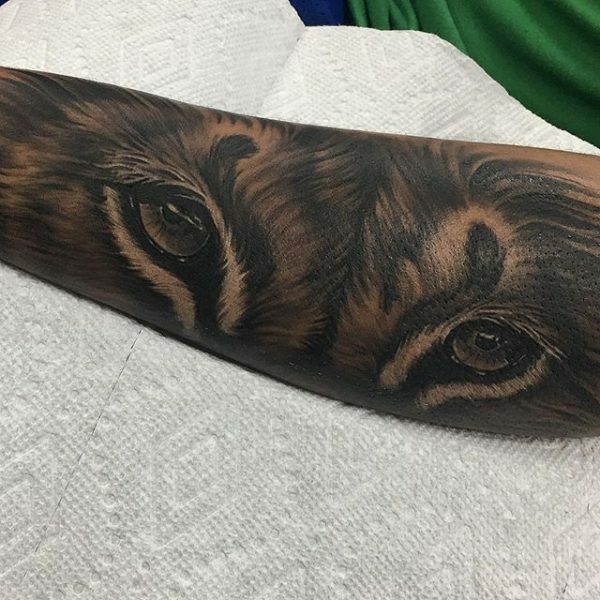 Realistic body art also gives you much greater power in choosing a custom tattoo that fits your lifestyle and ideals. 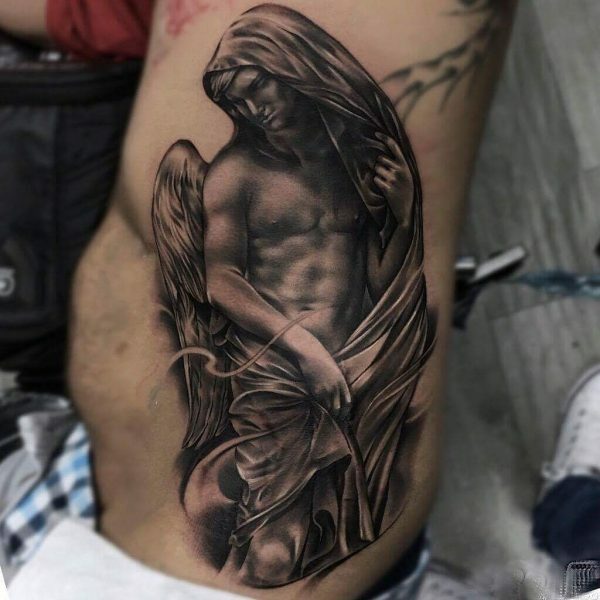 For example, you can get a classic tattoo based on the works Michelangelo or Leonardo da Vinci. 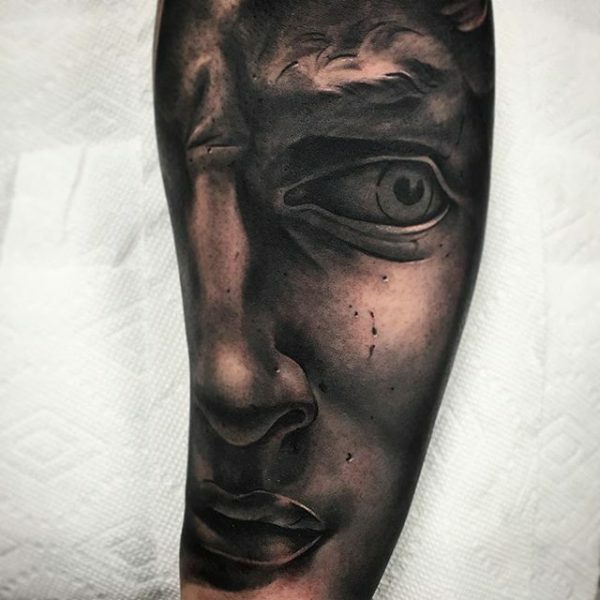 Due to the 3D nature of realistic body art, the result is a sculpted image that never goes out of style. 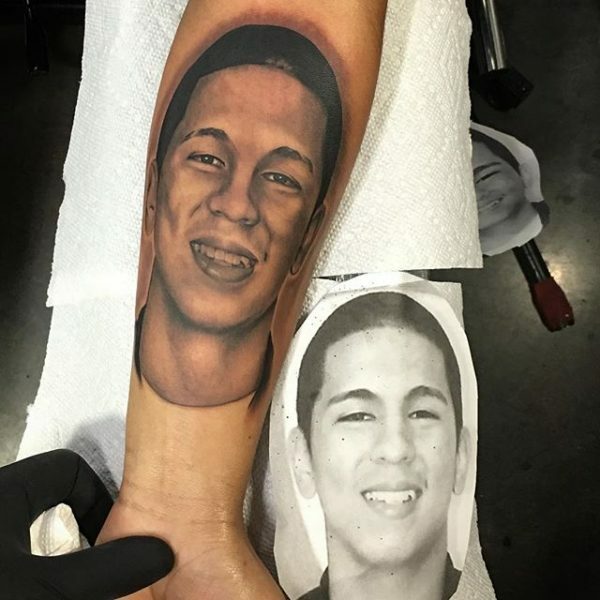 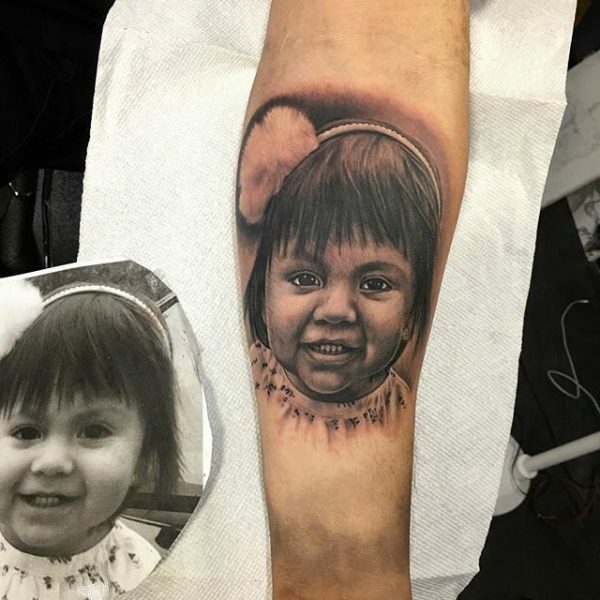 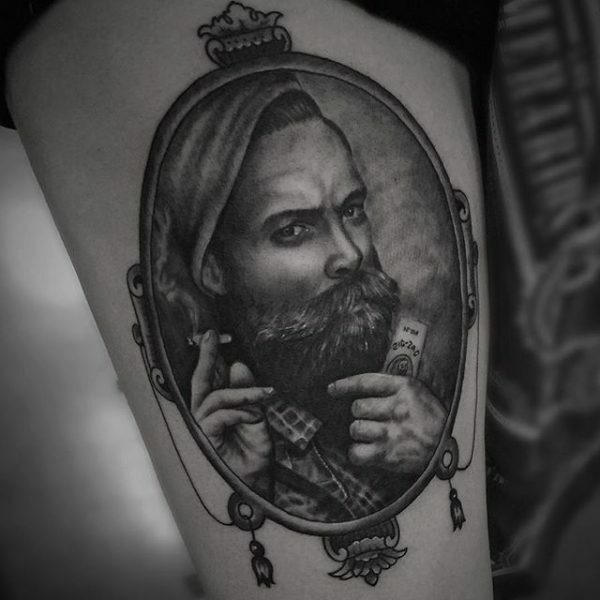 You can also get a realism tattoo based on the portrait of a family member or friend. 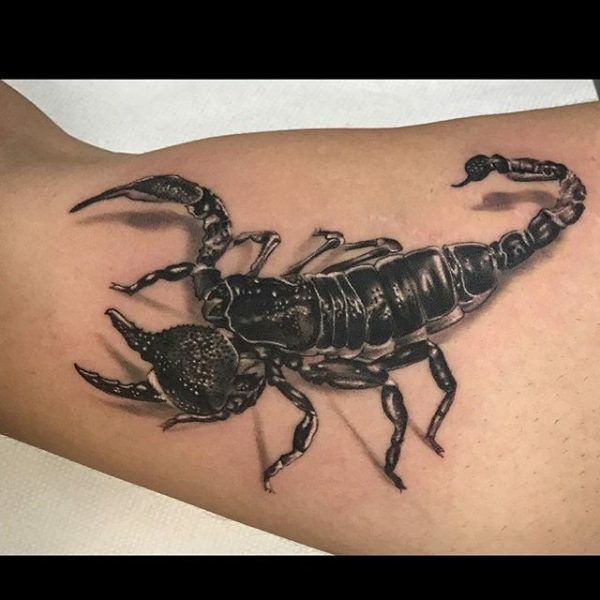 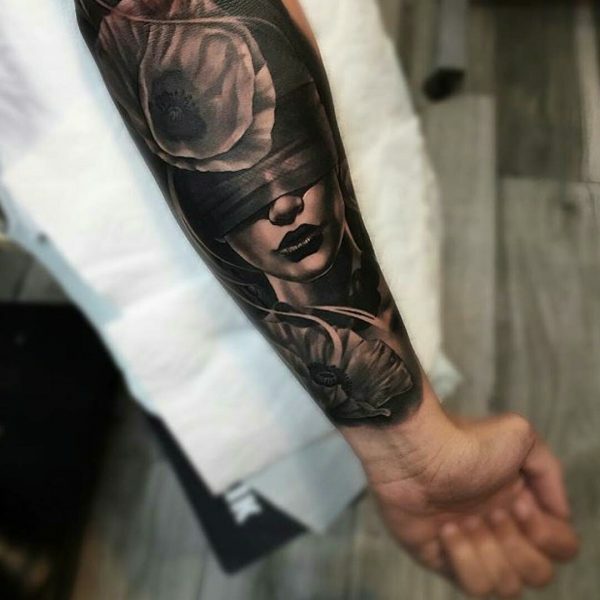 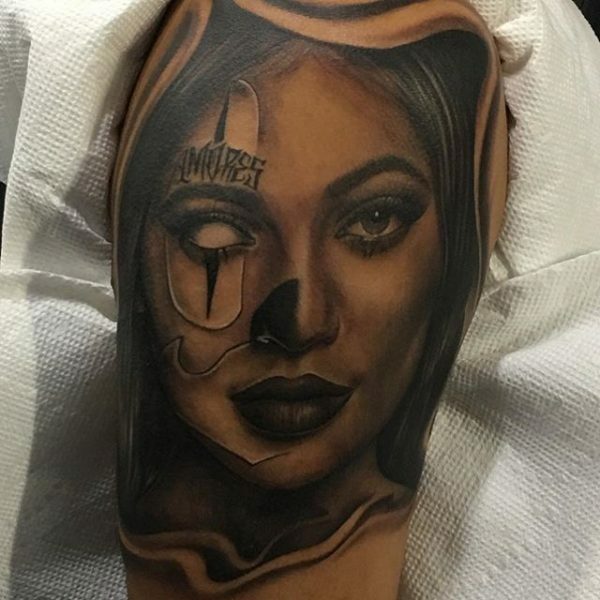 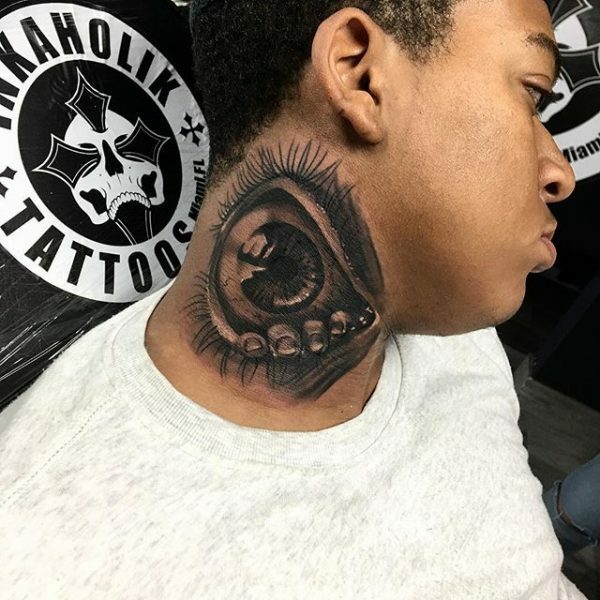 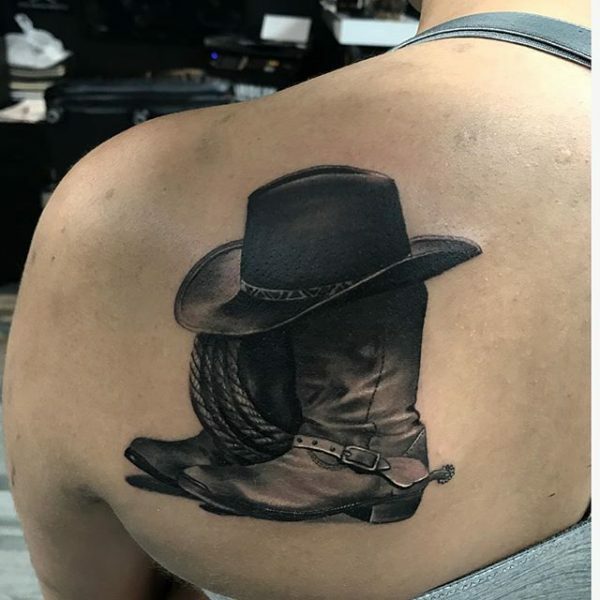 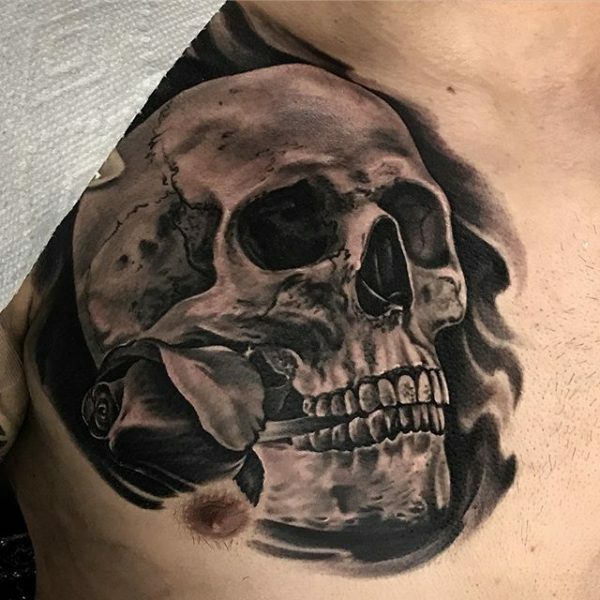 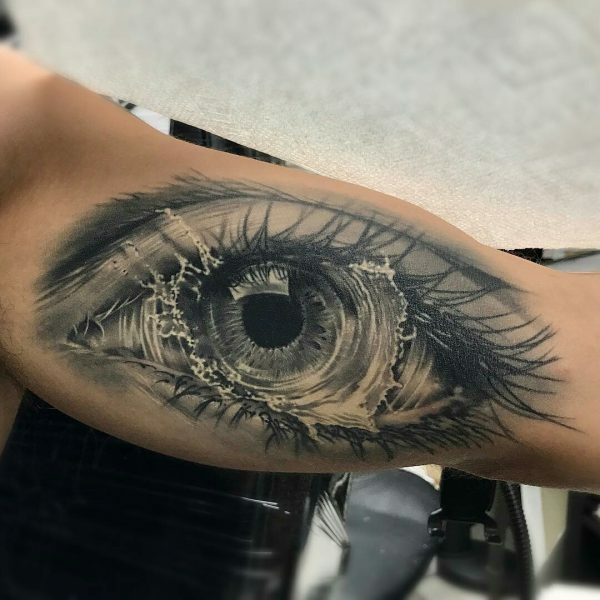 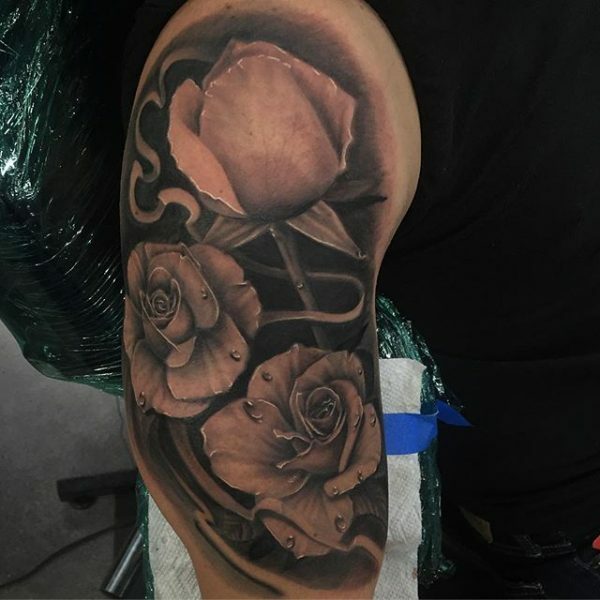 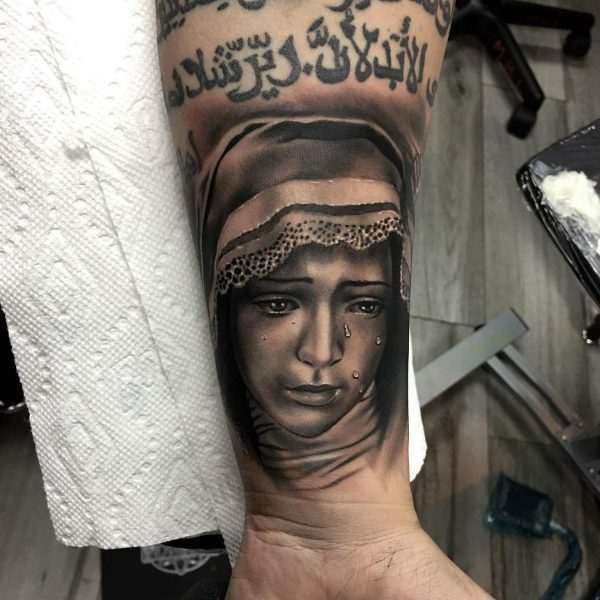 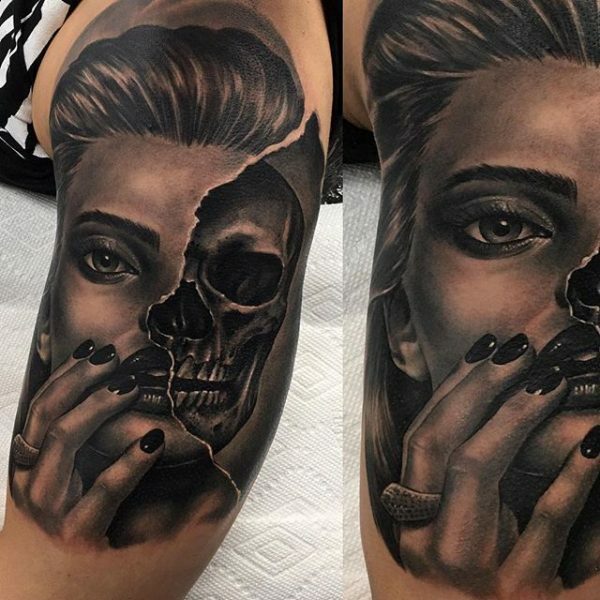 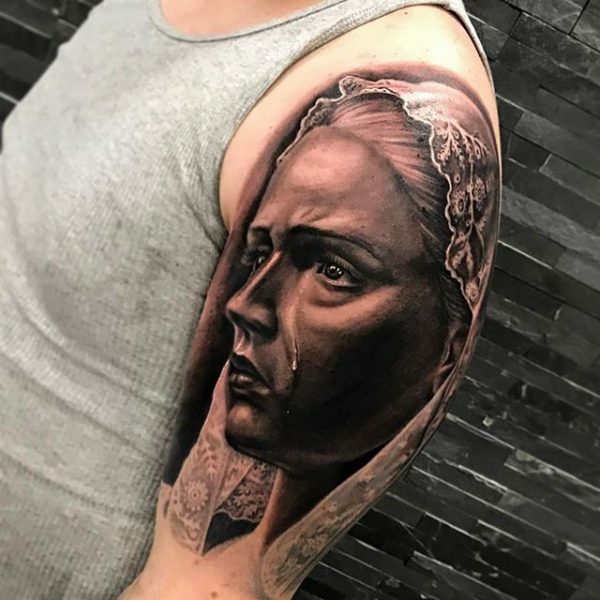 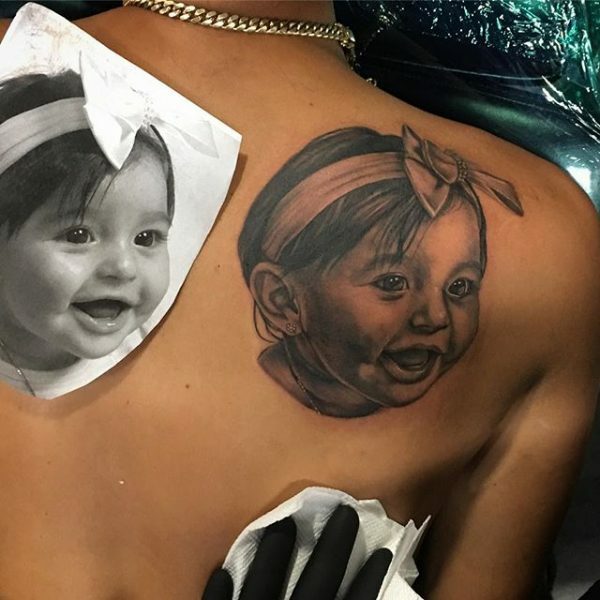 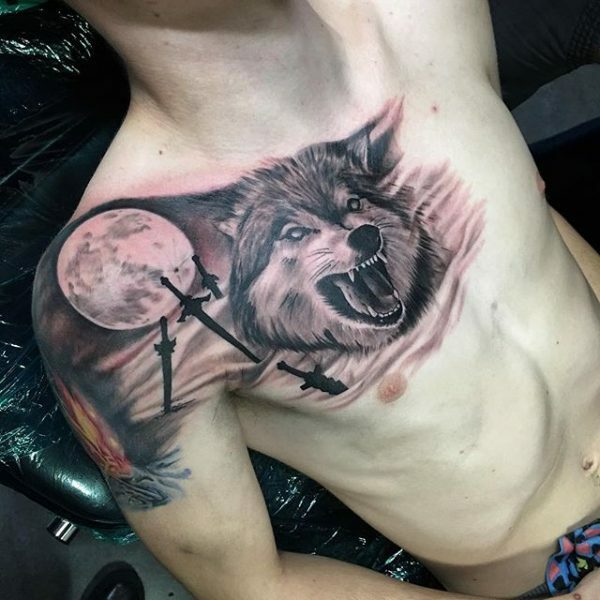 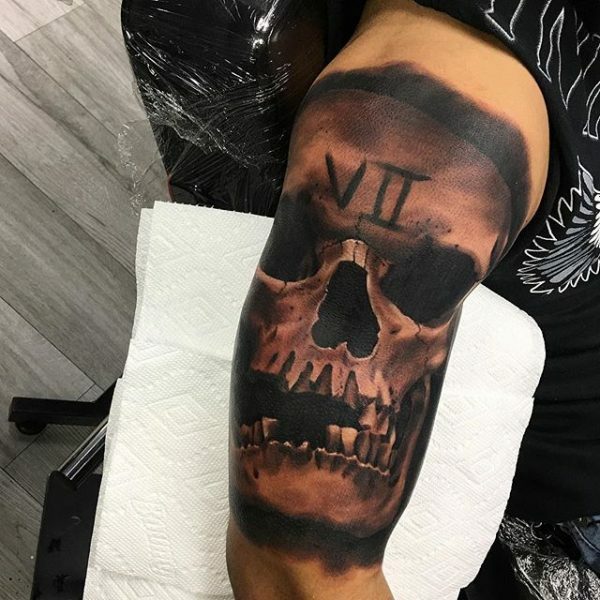 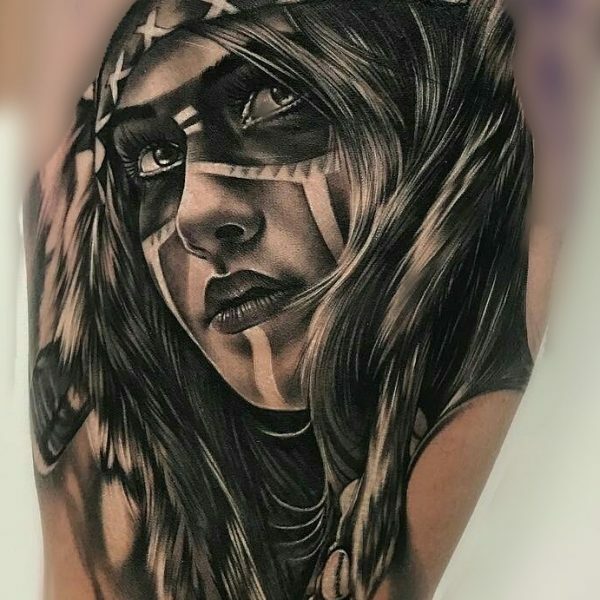 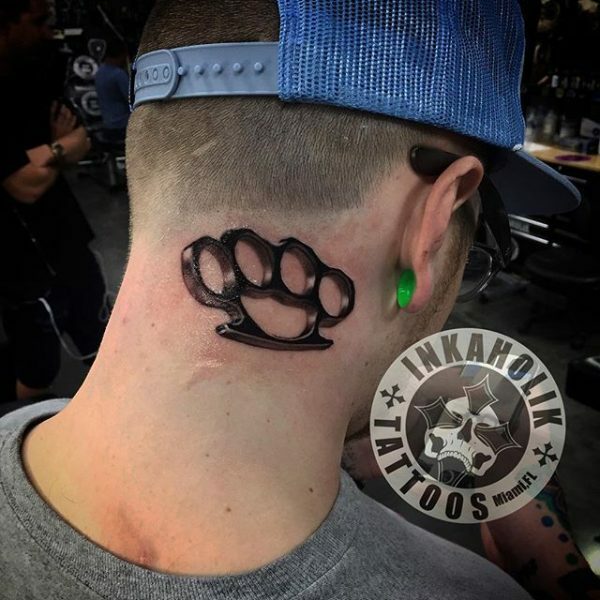 This type of tribute tattoo is a unique way to express gratitude for loved ones while sporting attractive body art. 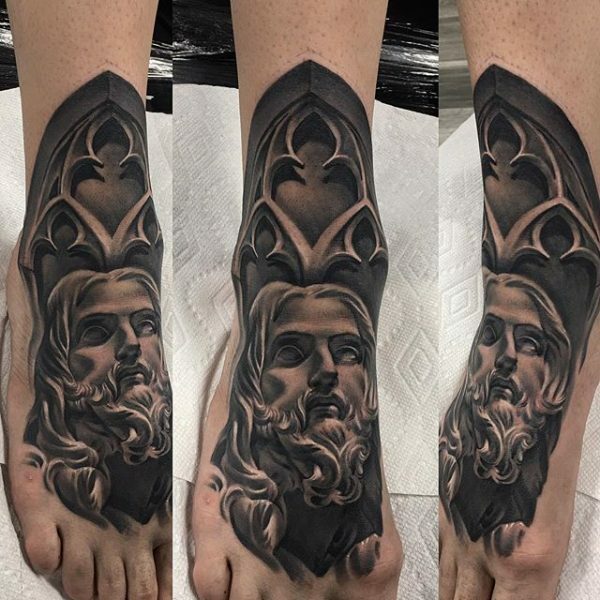 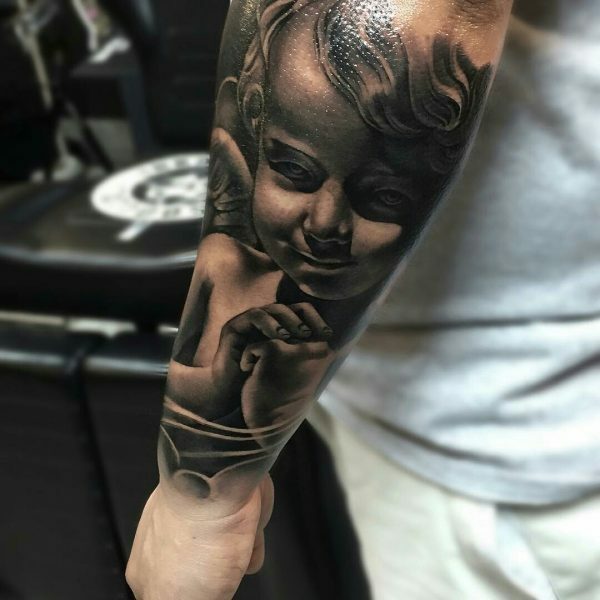 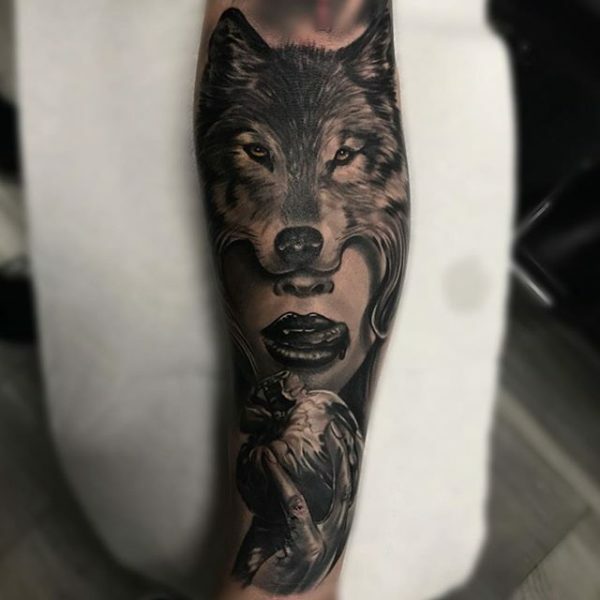 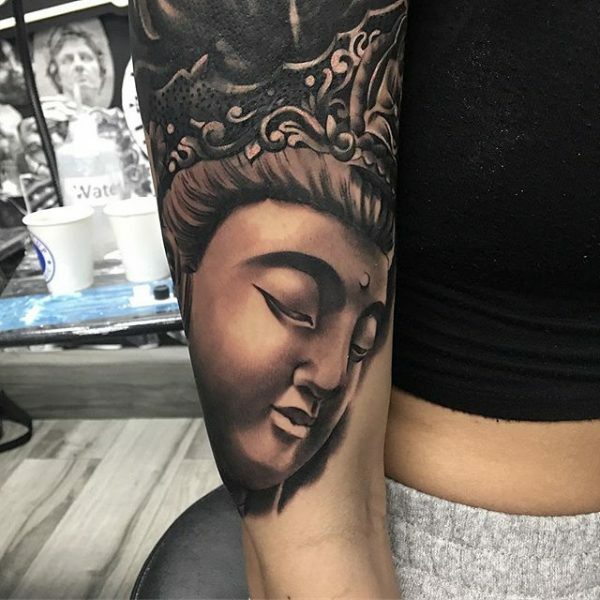 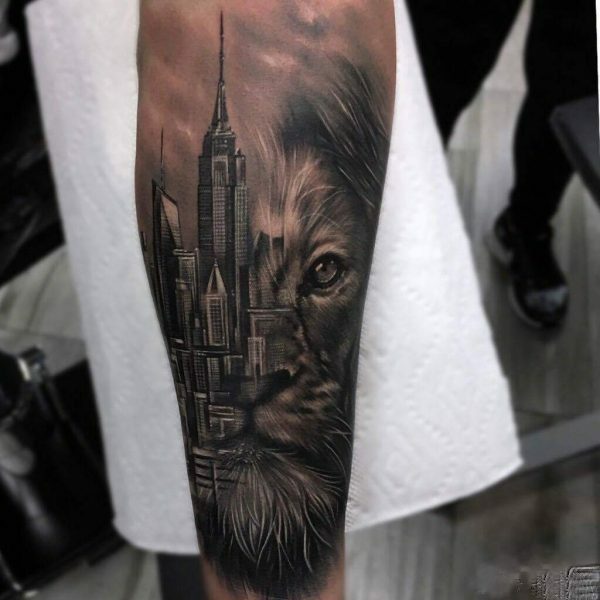 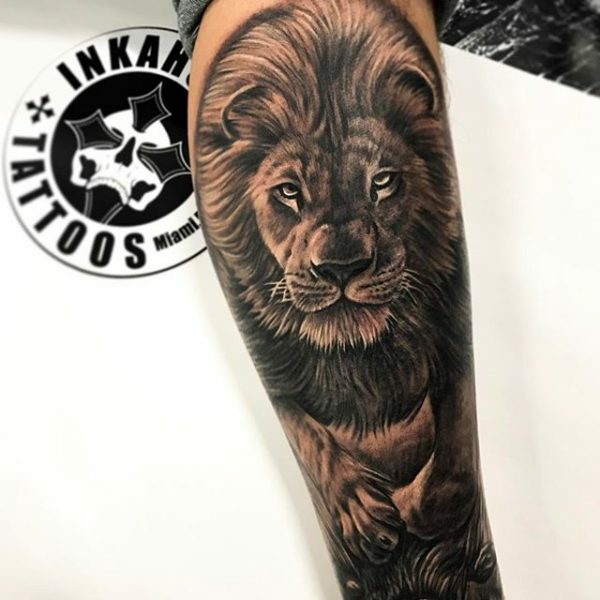 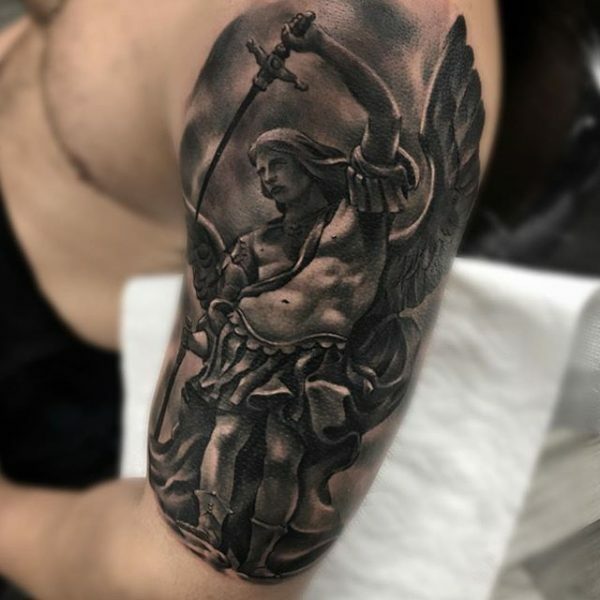 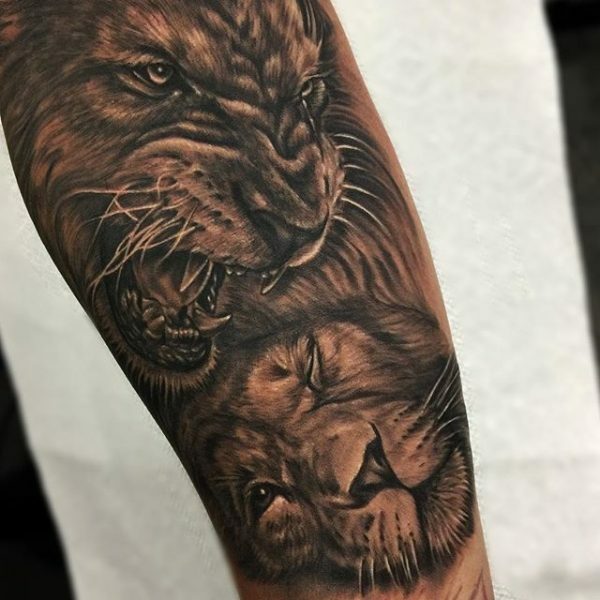 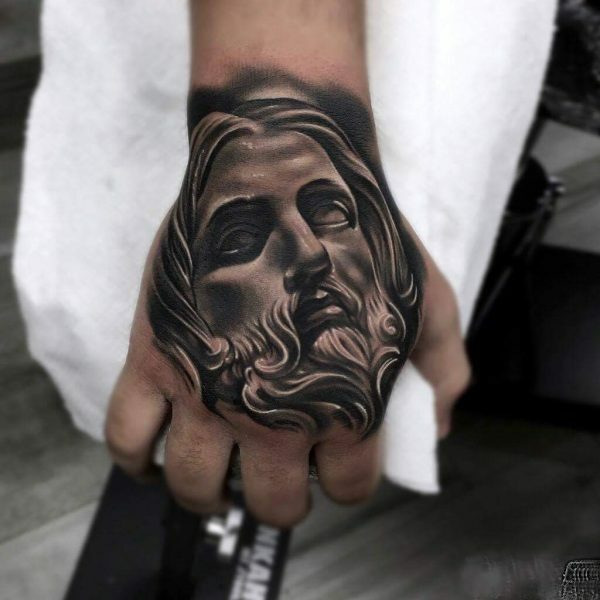 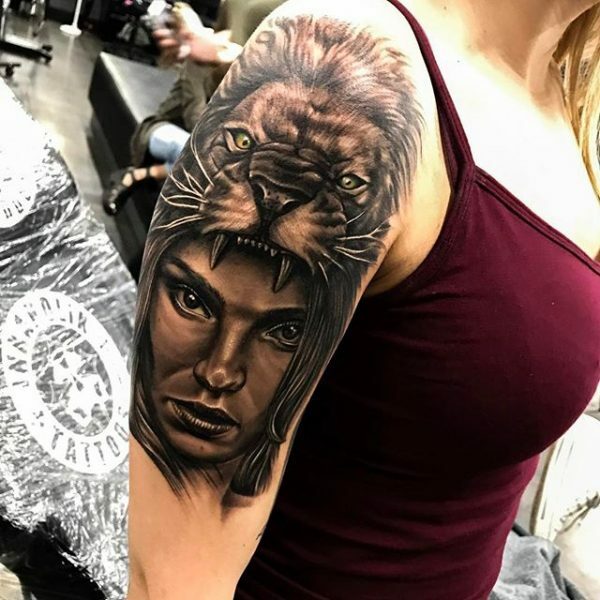 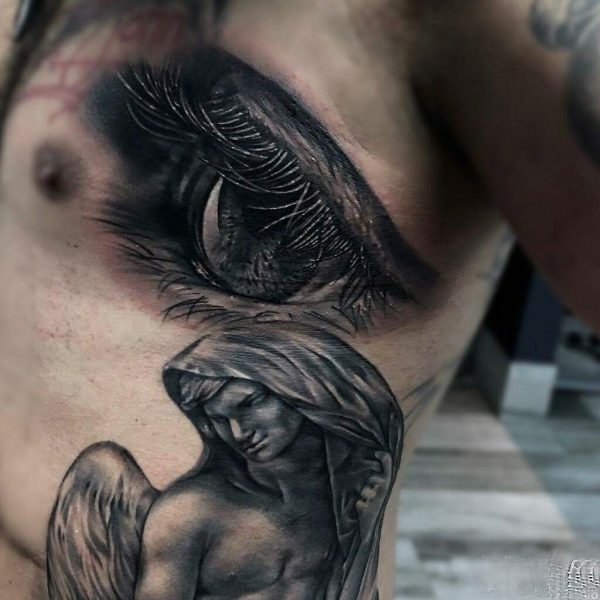 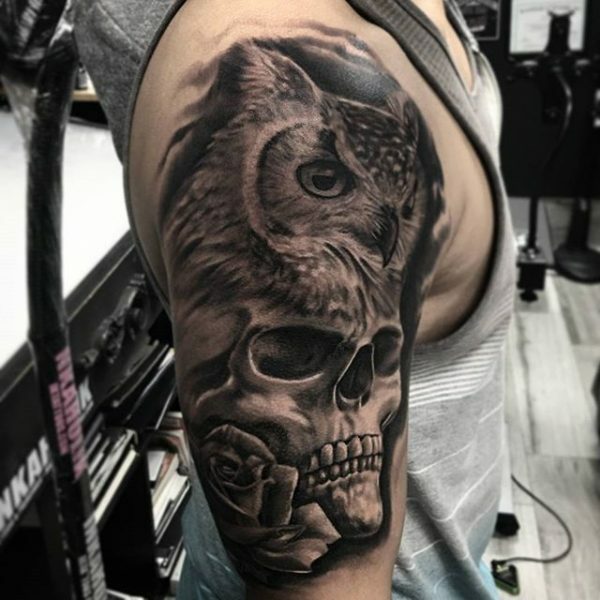 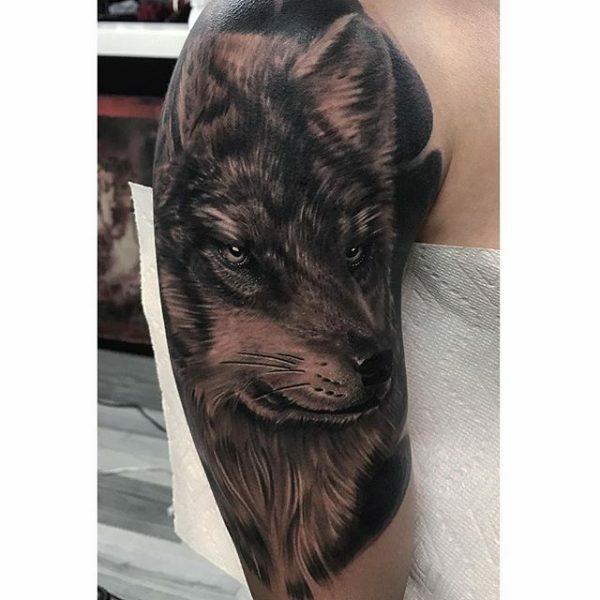 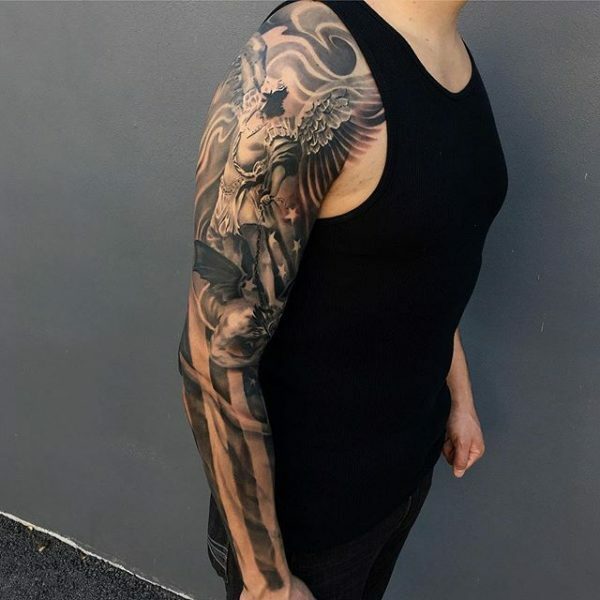 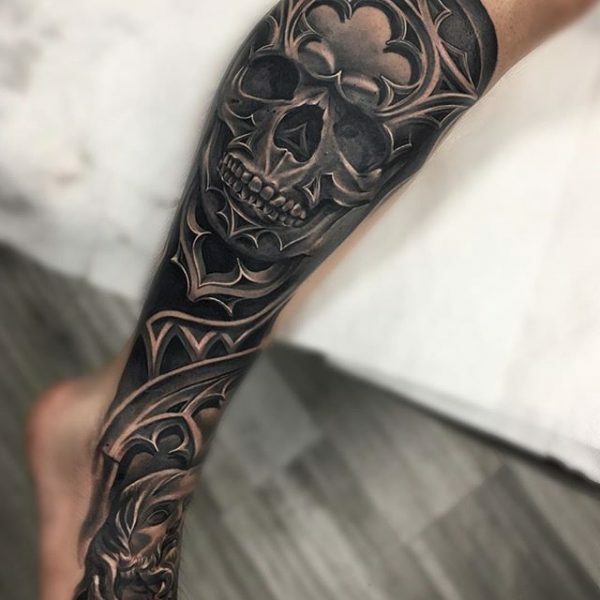 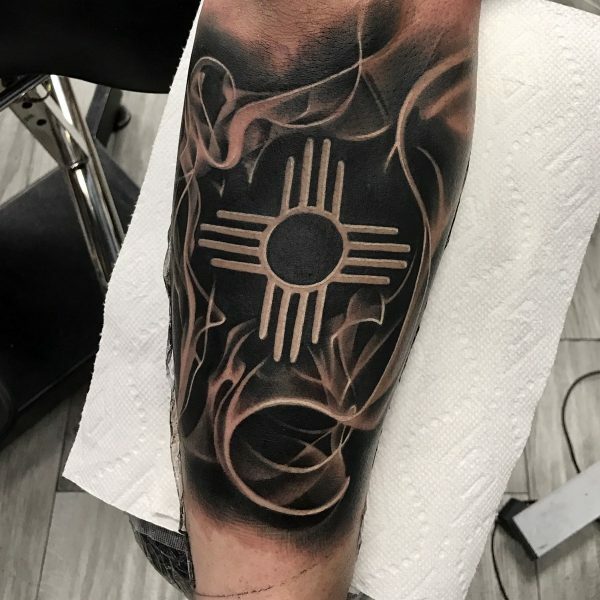 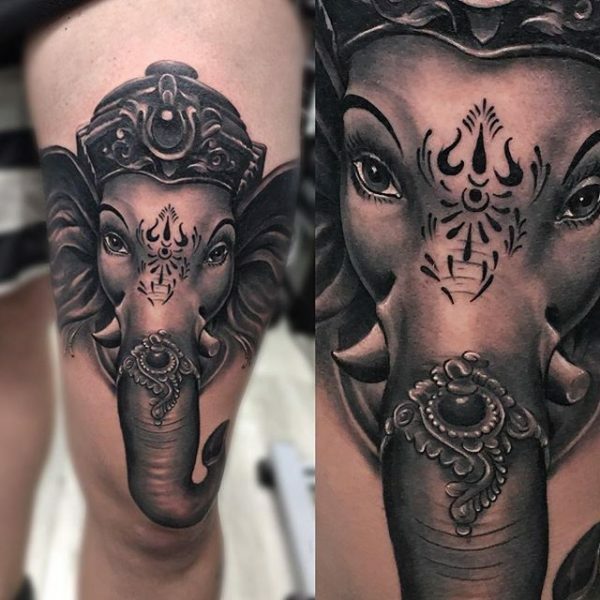 Other types of realism tattoos include angels, animals, and universal symbols, all of which look great in three-dimensional design. 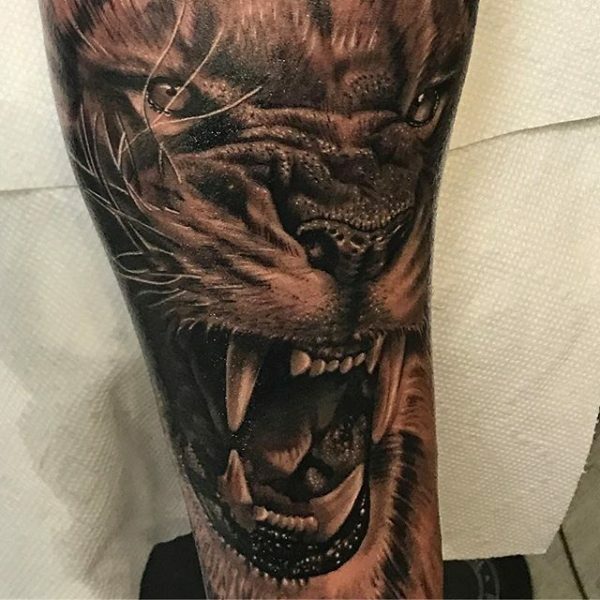 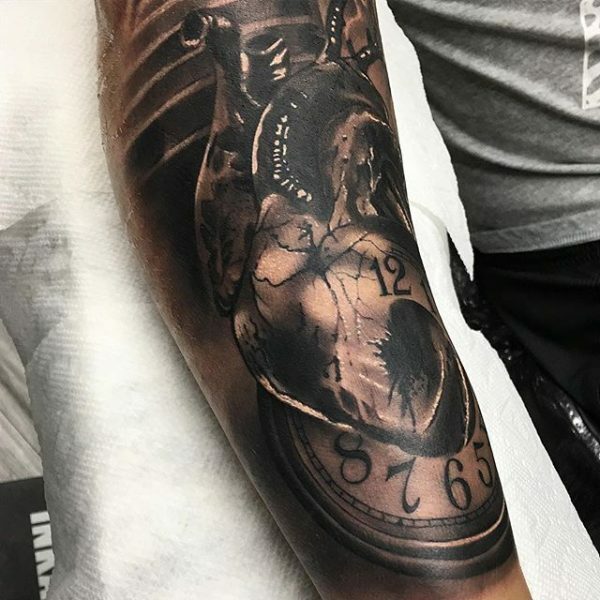 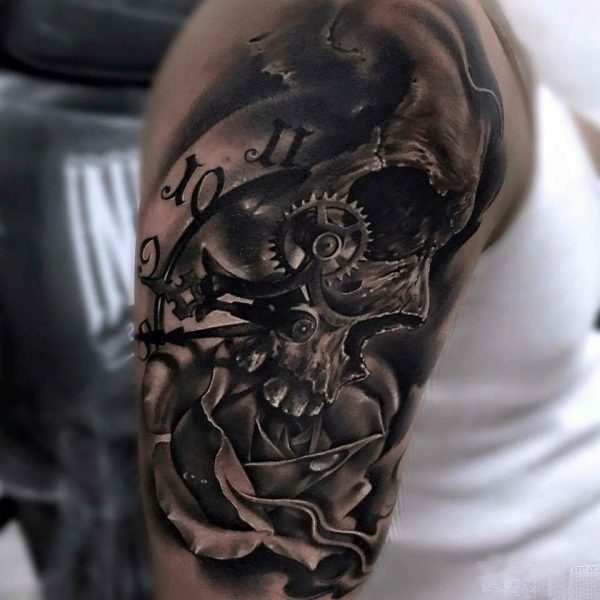 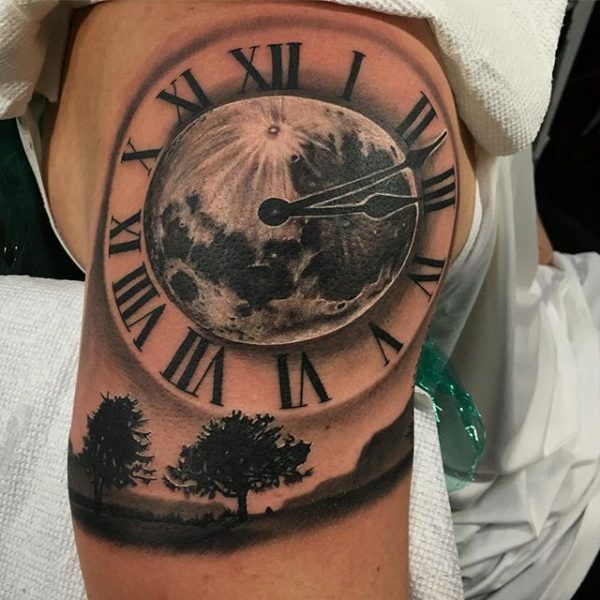 Get a realism tattoo to upgrade your body with art that will stand the test of time.